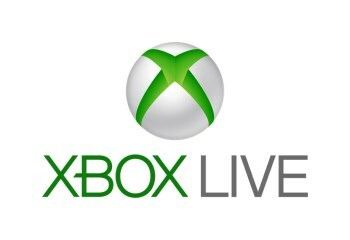 Today is the day that Xbox Live begins using local currency for online purchases. Following through on a promise made back in May, Microsoft has announced that today's Xbox Live update will flip the switch on real-money purchases. "Today, we're announcing the release of the Fall (or Spring depending on where you are from) 2013 Xbox Live Update for Xbox 360," Major Nelson revealed on his blog. "It brings several features for Xbox Live members, chief among them the ability to buy content on Xbox 360 using local currency." You'll be prompted to download the patch the next time you log into Xbox Live and the impression I get is that you don't have a choice in the matter, so it's not exactly brain surgery. "After that, when you go to initiate a purchase or redeem a Microsoft points card through your Xbox 360, we'll add to your Microsoft account an amount of currency equal to or greater than the Xbox Marketplace value of your Microsoft points," the Major wrote. "We'll also continue to accept purchased Microsoft points cards and codes until further notice." An FAQ on the Xbox support site breaks the transition down in detail and notes that some DLC is still priced in Microsoft points, which will be translated into local currency during the purchase process (but before the purchase is actually made). It also states that while Xbox Live accounts can be moved between regions once every three months, currency in the account will not move with it, so use it or lose it.